BROOKFIELD -- Police Chief Robin Montgomery isn't a man inclined to boast or seek the spotlight. On Friday, Montgomery will be one of 10 state veterans inducted into the state to the Connecticut Veterans Hall of Fame, an honor that focuses on post-military achievement. Navy veteran Robert Young, of Danbury, will be inducted as well. "He's had a very distinguished military and law enforcement career, and a lot of younger officers and first responders don't know his storied history," Danbury's Deputy Fire Chief and Brookfield paramedic Bernie Meehan said.. "He's not one to boast and tell stories about himself ... he has had just an incredible career, and is an incredible contributor to the community. The list is crazy." For a man who prefers to work behind the scenes -- at town meetings he sits out of uniform in the back row -- Montgomery is a man of action, one who leads by example, Meehan said. "He gets things done, and he does not look for notoriety," Meehan said. Montgomery was nominated by Ron Catania, of Meriden, inducted into the Hall of Fame two years ago, for his extensive service, which includes founding member of the Marine Corps-Law Enforcement Foundation that created the Armed Forces Family Scholarship and Assistance Fund that has to date donated $60 million. Montgomery is in fine company, President George H.W. Bush, a naval aviator in World War II who grew up in Greenwich, was inducted in 2005. Montgomery, 68, has been police chief for 13 years, but few in town likely know of his service in Vietnam. He was awarded two Purple Hearts and the Navy Cross, America's second highest medal for "extreme gallantry and heroism in combat." His citation was for rushing enemy troops to save his men while pinned down in a rice paddy in 1968. "By his courage, aggressive fighting spirit and unfaltering devotion to duty in the face of grave personal danger ... (he) contributed significantly to the defeat of the enemy force and upheld the highest traditions of the Marine Corps and the United States Naval Service," the citation reads. Before Montgomery became chief, he was a special agent with the Federal Bureau of Investigation for 26 years, where he worked on high-profile cases, including interviewing President Ronald Reagan after he was shot in 1981. He was assigned to the 1992 stakeout at Ruby Ridge in northern Idaho, that became a deadly confrontation between the anti-government family and federal agents. Two family members and a U.S. marshal were killed. "I was 60 feet from the cabin with the negotiator ... it was a very primitive location," Montgomery said. As a new FBI agent, he was assigned to guard the man who shot former Alabama governor and then-presidential candidate George Wallace in 1972. The father of four adult children from two marriages --Darren, 40, Eric, 39, Megan, 22, and Patrick, 19 -- Montgomery lives with his wife, Marianne Gaffey, who is active in civic affairs. "To see these incidents I was involved in in textbooks, well, it reminds you how old you are," he said. Of his 13 months in Vietnam, Montgomery is circumspect. He said he did his duty adding the real heroes were those "who never came back." "Robin Montgomery is a quiet, unassuming guy with incredible accomplishments in his life," First Selectman Bill Davidson said. "He served his country with valor, both in the Marines and as an FBI agent. Brookfield is extremely fortunate to have him as our police chief. "Robin doesn't do it for the glory, he does it to help people." Since settling in Brookfield after retiring from the FBI and three years as a corporate security official, Montgomery immersed himself in community life. He has been involved in youth sports, Scouting, in his current roles as president of the Lions Club and as president of Brookfield CARES, a substance abuse and suicide prevention organization. He is active nationally in military affairs and scholarship programs and is a local veterans' advocate. Even as the chief's second in command, Brookfield Police Major Jay Purcell said he is unaware about much of his boss' career. He echoes Meehan's admiration. "We know he's very well respected here for his accomplishments and all he's done, and continues to do, but he doesn't talk about it," he said. Purcell said the honor is well deserved. Montgomery may not be a Connecticut native -- the chief was a "military brat" who lived all over the world, but without a hometown -- but "he's certainly made Connecticut his home ... and is deserving of this honor." At the Congregational Church of Brookfield, I always like to say that today, the third Saturday in October, is our "High Holy Day." 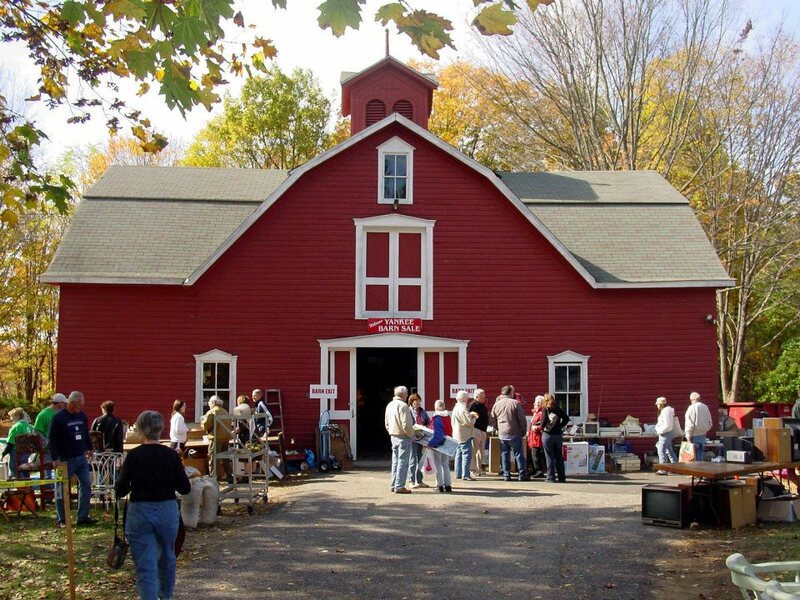 It is our annual Yankee Fair and Barn Sale. But since many religious organizations also have sales, you may wonder why we say this one day is more holy than others? That is because it is the one day of the year at our church where we all come together to embody our faith. We put our bodies to work in the service of others, as Jesus Christ wanted us to do when he called us to be disciples in the service of others. The Apostle Paul, in 1 Corinthians 12, told the congregation he planted in Corinth, Greece, to work together in love, in the Holy Spirit, for what Paul called "the common good." As a vivid example, he preached about the "parts of the body," where each member works smoothly with the other -- the eye doesn't fight with the hand, the head doesn't argue with the feet. Every "member" of the body of Christ is essential to the smooth functioning of a healthy church, and on Yankee Fair Day nearly every single living, breathing soul in our church is there working. For this one day of the year, from 9 a.m. to 3 p.m. (the barn opens at 8 a.m.), our sprawling church campus is transformed into a dazzling bazaar of various booths, elegantly staged from the big red barn on one end to tents on the lawn (where the Man Cave will have appliances and tools), to the antiques and collectibles for sale in our historic 1812 parsonage. In the parking lot, we have have food at the grill, starting with breakfast sandwiches at 7:30 a.m. There will be a DJ and live music, a clown and children's games. In our church building proper, which we Congregationalists call our Meetinghouse, there will be fine dining at the White Steeple Inn, plus a display of town history in keeping with this year's fair theme, celebrating Brookfield's 225th birthday. In the church school wing, you'll find a garden shop, a silent auction and beautiful handicrafts, including handmade quilts. Downstairs will be our bake shop, cheese shop, coffee shop, used bookstore and used clothing. Since our theme is the 225th birthday, we hoped to recruit more than 225 volunteers, which is a challenge for a church with only 200 in worship most Sundays. But our fair chairmen and fair chairman emeritus managed to sign up 242 volunteers, including this pastor, who is baking blackberry pie! When I was growing up in Congregational United Church of Christ in Greensboro, N.C., we had the slogan of our denomination, the United Church of Christ, on our church T-shirt. It read "To believe is to care. To care is to do." We are committed to the call of Jesus to love him by loving one another and the world in his name. As far as we know -- the Bible is silent on this point -- Jesus never baked a blackberry pie or organized a rummage sale. But at the Congregational Church of Brookfield, we like to think Jesus would enjoy our Yankee Fair. How we use the proceeds from the fair is important to us, too. The money supports mission projects, this year including the Brookfield food pantry, the Dorothy Day House in Danbury and Loaves and Fishes in New Milford. The fair also supports our refugee resettlement ministry, and provides grant money for Christian growth and enrichment, such as the spring break mission trip of two Brookfield High students who went to Oaxaca, Mexico, to help those who live in the city dump there. Less than one-quarter of the fair money is used to sustain church property, which this year included repair and repainting of our white Meetinghouse and steeple, a treasured landmark in Brookfield since the mid-19th century. Our church is at the crossroads of routes 25 and 133 in Brookfield Center. All are welcome to our "High Holy Day" on Oct. 19, to support our church mission to "Pray, Share and Welcome" in the way of Jesus. The Rev. Bryn Smallwood-Garcia is senior pastor at the Congregational Church of Brookfield. She can be reached at Bryn@uccb.org or 203-775-1259. Visit www.uccb.org. "Nineteen sixty-three is not an end, but a beginning." On Aug. 28, 1963, Joni Park went to the March on Washington from New Jersey via New York City. Sam Hyman left from Danbury, catching a train in Norwalk. But what they remember is the gathering crowds at the train stations early in that morning, like swelling streams heading in the same direction. "We got up at 5 a.m.," Park said. "We went to Grand Central Station and found it full of a tremendous amount of people waiting to go." "I'm thinking we went to Norwalk by bus," Hyman said. "There were people getting on the train at all different points." Gradually, as they morning light grew stronger and an August day grew warmer, they realized they were part of something much bigger than they realized. "We had no idea of the significance of the event," Hyman said. "We went having no idea at all." Now, 50 years later, they know. The March on Washington for Jobs and Freedom -- the Great March -- brought as many as 300,000 people to Washington, D.C.
At the end of the day, after a long roster of speakers, the Rev. Dr. Martin Luther King Jr. made one of the great orations in American history, proclaiming "I Have a Dream," and challenging the United States to live up to its ideals and give its basic freedoms to its black citizenry, a promissory note that had gone unpaid for a century. It was a watershed moment on a watershed day. "The whole day was history," Hyman said. "It was the beginning of a new era. We realized the old era of segregation was coming to an end." "It was a moment in time," Park said. "I'm honored to have been there." Hyman and Park came to Washington from different places, but with the same fervor and goal. Park, now 80, is the daughter of a Presbyterian minister in New York City. She attended public schools and summer camps with people of every race. She was brought up color-blind, believing in the ideals of integration. She moved to Ridgewood, N.J., with her husband, Ivan, in the 1950s. It was, she said, a "pure white" neighborhood. Ridgewood's blacks lived in their own neighborhood, apart from the rest of town. "It was a culture shock for me," she said. Hyman, 75, grew up in rural North Carolina, in tobacco country. He attended Agricultural and Technical College of North Carolina -- the land-grant college for the state's blacks -- then headed north in the great migration of blacks out of the South, looking for jobs and opportunities. He trained in Danbury Hospital as a lab technician, then got a full-time job there. Like Ridgewood, Danbury was anything but a place of equality in the 1950. "It was very segregated," he said. Park and Hyman worked to change their cities. Park said she and her husband worked on committees to integrate Ridgewood, participating in the city's equal-housing effort. "We'd pose as a young couple and go look at a house for sale," she said. "The Realtor would tell us how wonderful it was. Then, 40 minutes later, a black couple would go look at the same house. They'd be told it was already sold." Hyman joined the very active Danbury chapter of the National Association for the Advancement of Colored People. "It had an office on Main Street with a full-time worker," Hyman said. "We had monthly meetings at the War Memorial. It was nothing for us to have 200, 300 people at a meeting." 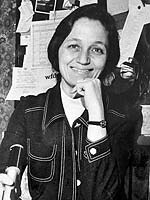 Hyman said that the March on Washington, within the NAACP, was a very organized proposition. Once the march's organizers settled on a date, the word went out to get people to Washington. "Not going wasn't even an option," he said. Park, then pregnant with her third child, said she remembered word of the march spreading like wildfire among the Quaker, Presbyterian and Unitarian church communities where she lived in New Jersey. "When we got there, it was people, people, people," Hyman said. Most Americans' knowledge of the march is boiled down to the last three or four minutes of King's 16-minute speech. But that was the last speech of a long day of speeches by A. Philip Randolph and Whitney Young and Roy Wilkins and Walter Reuther, broken up by the occasional song. Hyman said he remembered Peter Paul & Mary singing "If I Had a Hammer"; Park remembers Mahalia Jackson. Park remembers meeting old friends from her Presbyterian camp days. Hyman remembers that it was a humid day in August. "People were looking for shade along the mall, or putting their feet in the pool to cool off," he said. By the time King began speaking, Park and Hyman said, it was the end of a long day. They said there was talk of leaving early. Early in the speech, Park said she knew she was seeing something extraordinary. "He was beyond wonderful," she said. "Everybody remembers the end of the speech. But the beginning was magnificent." Hyman said he remembers the King speech in the context of the day. "He stole the show, if that's the word to use," Hyman said. "But he shared the stage with a lot of other powerful people." What he remembers about the day was its joyousness. "On the bus back to the train station, everyone was singing," he said. Park and Hyman carriedon the activism of the day. 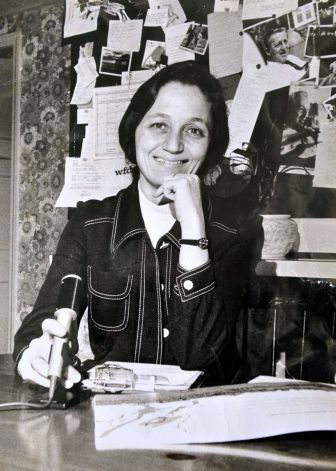 Hyman was president of the Danbury chapter of the NAACP and worked for 24 years on the staff of the state Commission on Human Rights and Opportunities. Park has been a Brookfield selectman, a member of the board of directors for the Regional YMCA and Brookfield Library, and chairman of the Brookfield Democratic Party. A half-century later, Park and Hyman said the force of the day may not register on people's consciousness as it once did. "I wish more of the dream was heard today," Park said. "It needs to be a fight continued." In 2009, Hyman said he had the great pleasure to be at a second mass rally on the Washington, D.C. mall, as part of the throng that attended the inauguration of PresidentBarack Obama. "We sang `There is a New Day,' " he said. "We were celebrating the inauguration of the first black president." Sensing safety along his path of compassion, the Rev. M.S. "Des" Desmond has been going to prison for 22 years. "It's a landmark for me every month," said Desmond, a retired UCC pastor and longtime volunteer in the Prisoner Visitation and Support (PVS) program. "There are no cell phones, no one can reach me there –– not my wife, not parishioners, not anybody. I am safe to do the job of visiting." Desmond and Betty Woodman –– a 33-year PVS volunteer who served for 12 years on the United Church Board for Homeland Ministries (now part of Local Church Ministries) –– have a shared passion for a visitation ministry that has benefited hundreds of inmates in federal and military prisons throughout the country. Subject to searches like any other visitors, the pair promise officials at the all-women Danbury (Conn.) Federal Correctional Institute to check at the door any penchant to prosetylize. "We come not to convert them," said Desmond, "but I haven't met a prisoner yet who wasn't bringing religion into the conversation on their own." "I don't think they're missing the point that Jesus came for them, and that he actually is there," Desmond said. "There's really no difference between these prisoners and the people on the outside." Woodman, a member of First Church of Christ UCC in Redding, Conn., shares that feeling. "If you haven't been in a prison, you don't realize how ‘normal' most people are there," she said. "We all make mistakes in life." Desmond officially retired 15 years ago but says he's been "ministering off and on" since 1956. He calls Woodman his "mentor." "I went with her on my first prison visit," said Desmond. "I had worried about what we would talk about with the prisoners. I knew we weren't allowed to initiate any conversation about why they were there or how long they'd be there. They share what they wish." "You sort of become friends over a period of time," said Woodman, who served on the UCC's General Synod nominating committee for six years and on the Back Bay Mission board for eight. "We don't set any agenda, but they will ask about my life, family, friends and work. One inmate I visited said, ‘I love your visits, but could you come visit my cellmate? He hasn't had a visitor in 25 years.'" Founded in 1968 by Honey Knopp and Bob Horton to provide visitation to imprisoned conscientious objectors during the Vietnam War, the Prisoner Visitation and Support program shifted its focus in the mid-1970s to share visitation with any prisoners seeking it. "They are very dedicated people," said Eric Corson, PVS executive director, of Desmond and Woodman. "Prison visiting is not for everyone. It's a very special calling. It's not just going and visiting with the prisoners. It's dealing with prison staff, it's dealing with all the regulations and rules –– and there are a lot of them." Calling the long-term relationship between the UCC and PVS a "wonderful thing," Corson cited studies showing that recidivism rates are lower for prisoners who receive visitors than those who do not. In addition, he said, the benefits of shared visitation to those incarcerated in federal prisons may be greater than average. "People in federal prisons may be far, far from home and less likely to get family and friends to visit," Corson said. Initially, the Danbury prison housed men only. After a period of housing both men and women, it became an all-women's facility in 1996. Woodman said that each time she walks away from the prison, she feels reward in return. "You feel good when you come out," she said. "It gives them a lift. And just about all of them get released." Added Desmond, "It's a beautiful thing when one of the prisoners completes their term." Find out more about the Prisoner Visitation and Support program. Click on the image at the right for an old photo of our church by Walker Evans, a great photographer of Americana. His portrait of Brookfield Center, CT, is the signature piece of an exhibit of his work at the Florence Griswold Museum in Old Lyme. 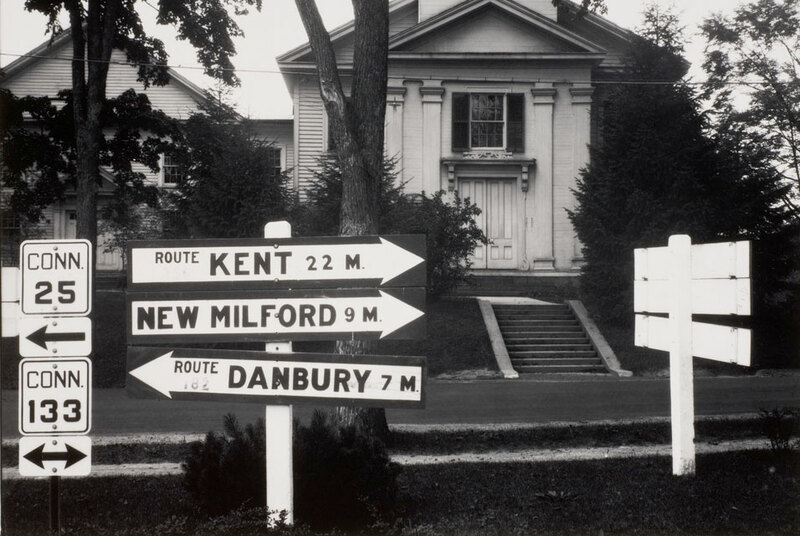 Walker Evans, Brookfield Center, CT, n.d.. Gelatin silver print. Florence Griswold Museum, Gift of the Walker Evans Estate. Growing up in Iraq for Noura was great. After school, she would come home and eat lunch with her family. "I never put my hand in the food unless the whole family was there to eat together." She graduated university with a bachelor's degree and began working as a teacher. All that changed when she had to flee her native Iraq to start over in Jordan. She was 24. Patty Buchan, co-chair of the refugee resettlement committee Congregational UCC in Brookfield, Conn., tells the story of meeting Noura for the first time. "Chris George of Integrated Refugee and Immigrant Services was going to meet us by the side of a road to drop off Noura and her brother," he says. "We saw the IRIS van, but no Iraqis. There was a woman, but she wasn't wearing a veil. So we were wondering, 'Where are the Iraqis?' We thought maybe they missed the plane." "I remember their faces, just shocked, like 'Who are you?,' " says Noura. "Then Chris drove off," Buchan continues, "and it was just us and the Iraqis. And I just wanted to hug you and hug you and hug you." Noura turns to mush. "She really helped me. I remember the first day when I came, it was really strange, sad. Everything was changing in my life and I didn't know anybody here." Now Noura works a part-time second job at the Gingerbread Schoolhouse. "When Noura said she did not have access to a car, I didn't know how this would work," recalls Georgianna Rescigno, director of the school. "Within a few minutes, I received a phone call from one of the women at Brookfield UCC assuring me that transportation would be no problem for Noura. I agreed to an interview." The rest is history. At the 27th General Synod, the UCC's Executive Council called upon church members to support humanitarian relief efforts in the US and abroad. "The UCC's 100,000 for Peace campaign was meant to raise 100,000 prayers, contacts in legislature and dollars," says Susan Sanders, Minister for Global Sharing of Resources and One Great Hour of Sharing Administrator for the UCC. "We ended up raising $200,000." The money was sent as aid grants to UCC partners in Iraq, Jordan and Syria. It was spent on vocational training for refugees living outside of Iraq, and basic human needs like food and water for internally displaced peoples (IDPs) inside Iraq. But church members didn't stop there. Amy Lynn, of Spring Glen (Conn.) UCC, says there was no trouble finding volunteers in her congregation to help resettle Iraqi refugees. "A lot of people politically feel like we've made a mess over there, and it was nice to clean up a little bit of it. Even people who don't feel we've made a mess understand there are people who need our help." "The first full day in country [for a refugee] is a round of appointments," says Ken Ramsey, associate director for resettlement and integration at Church World Service (CWS). "Their first stop is the Social Security office to get ID cards. Next is applying for food stamps and medical care." According to Sheila McGeehan, a CWS affiliate in Pennsylvania, the relationship between a congregation and a newly-arrived refugee usually begins before the meeting at the airport. "[A congregation will find] an apartment," explains McGeehan, "pay the rent, and furnish it." And that's just the beginning. Jennifer Wurst, co-chair of the refugee resettlement committee at Brookfield UCC with Patty Buchan, describes various opportunities for church members to volunteer. "There's driving them to their various appointments," she says, listing some longer-term commitments. "Education. Employment. Finances. Health." None of these chores are crossed off the list in one sitting. Showing a refugee how to use local public transportation, go through the mail and create a household budget are all things that take time. Every congregation finds a different way to sponsor a refugee, and each refugee's needs are different. Sometimes an individual arrives. Other times, it's a family with 3 kids and grandma. Some arrive with chronic medical conditions. And almost all the adults need jobs right away. Georgianna Rescigno talks about how the school was recently awarded national accreditation by the National Association for Education of Young Children. "The minimum requirement is an associate's degree to teach in our school," explains Georgianna, "but Noura has her bachelor's, so her credentials were also brought to bear on our NAEYC accreditation." Not all refugees are as fortunate as Noura to have a degree and skills that are transferable. "The family co-sponsored by my church came here with solid language skills, but the father's engineering training wasn't up to US standards," laments David Treul, a money management educator at Michigan State and member of Plymouth Congregational UCC in Michigan. "He had to go back [to Iraq] as an interpreter with a Marine unit." If your congregation doesn't have a refugee resettlement ministry, some CWS local affiliates such as the one in Lancaster welcome individuals. Other organizations that work with individual volunteers include The International Rescue Committee, The US Committee for Refugees & Immigrants, and World Relief. Organizations like Upwardly Global help highly skilled immigrants, refugees and asylees reclaim their careers here in the United States. Their volunteers provide contacts, review resumes and even help refugees practice interviewing. There are so many ways for individuals to help. And with Iraqi refugees resettled in every state in the US, there's no shortage of need. The urgency for refugees to find a job is a mounting problem. Money that comes from the US Refugee Admission Program (USRAP) is a mere eight-month allowance – compared to the 36-months Vietnamese refugees received at USRAP's inception in the 1970s. The decision of how long to maintain the refugee-co-sponsor relationship is not an easy one. Each congregation does it differently. Grace Immanuel UCC in Kentucky has resettled 23 refugees in 10 years. The Rev. Greg Baine says his congregation's initial concern was that they'd be adopting rather than sponsoring. "How to let go is a real big part of this. Kentucky Refugee Ministries - who Grace Immanuel has a co-sponsorship with - structures this into a very clear 90-day period. Then the relationship shifts gears from sponsorship to friendship." "It's not an infinite obligation," says Amy Lynn. "One time [the mother of the family we co-sponsored] had a medical emergency. When she needs that network, we're the ones she calls." David Treul, the money management educator, says he wouldn't trade his experience for anything. "We're not babysitting them, but it was certainly nice [for them] to have someone to call to say 'We're thinking of buying a house. How does that work here?' I was glad to be able to step in and help." Jennifer Wurst of Brookfield UCC points out some short term volunteering options for church members, such as providing meals, giving refugees a tour of a supermarket during their first week, or donating furniture. "People have insane amounts of extra furniture, it turns out," adds a chuckling Baine. After living in Connecticut for a year and a half, Noura now has a bigger vision. The Baghdad native wants to help other Iraqi refugees get resettled through the church. She's preparing a presentation for the UCC's Connecticut Conference. "My experience, how I lived a really hard life when I left my country, and went to Jordan, and came to America – it makes your life not normal," Noura explains. "I don't want more people to have [the difficult experiences] I had. I am doing what I can do for them." "People tell me it's a hard life in America" says Noura, "but I'm strong. I'm still young. It's nice to have help when you first come, for really it's like I'm just born. Life in America is very different from the Middle East. Language, banking, shopping, everything. I started under zero. Minus. But I thank God now I'm able to drive, I'm able to speak English, I hope well!" she giggles. BROOKFIELD (11/19/2010) -- My journey of faith was guided by something that happened nearly 2000 years ago, coupled with what I heard people say about Christ as I was growing up. Let me tell you about people who talked to me about Christ. First was my mother, Mary Anastas. Second was my Godmother, Mary Vance. Third is someone I had never met until I visited on her deathbed, Mrs. Lysle. To God's elect, strangers in the world, scattered throughout Pontus, Galatia, Cappadocia, Asia and Bithynia, who have been chosen according to the foreknowledge of God the Father, through the sanctifying work of the Spirit, for obedience to Jesus Christ and sprinkling by his blood: Grace and peace be yours in abundance. My mother convinced me it was my sacred duty to honor my Greek ancestors in Pontus, who were among the earliest Christians, and to carry on their love and devotion to Christ. The second influence was my Godmother. She escaped persecution as a little girl when the Turkish city of Smyrna was burned. Mary Vance took her responsibility as my Godmother very seriously. She would remind me what it was like for Greeks living in Turkey. As years went on, she would always check to see if I were still attending church and admonished me when I went through my agnostic phase as a 20-something bachelor in New York City during the 1960s. This brings us to Mrs. Lysle, the most profound witness I ever experienced. Years ago, when I was a young dad and deacon in Westchester, it was my turn to visit parishoners of our church in White Plains Hospital. There I met Mrs. Lysle. I had seen her sitting in church with other older folks, but I did not know her. We made small talk and she was very gracious, trying to make me feel at ease even though she was very weak. I asked her to join me in prayer during which I said something like “And, Dear Lord, please help Mrs. Lysle recover from her illness.” She stopped me cold. “No, young man, they told me I only have two or three days left and I am ready to meet Jesus. I backed out of the room, overcome with the emotion of witnessing someone who believed in Christ more than I could ever imagine. Her unshakable faith has stayed with me to this day. Mrs. Lysle was perfectly ready to step into another world we could only imagine and believe ... if we shared her faith. I think we are all here because we are trying to believe. It is true that if we talk about our faith to others some of them will catch it. Let’s try to share our faith with one another, like Mrs. Lysle did with me. I cannot be faithful alone. I need a community of believers to talk about faith and help me continue my journey. 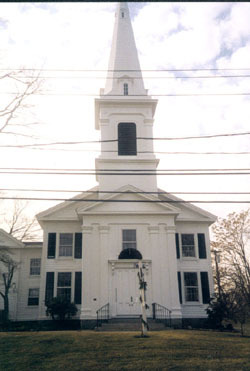 Michael Anastas is a member of the Congregational Church of Brookfield UCC. This page was last updated on 02/08/2014 09:05 AM.